Asheville, NC -- Balsam Range is currently touring in support of Mountain Voodoo, their sixth studio album, on Mountain Home Music Company. With it, they are offering something that is sure to continue to mesmerise fans of bluegrass and beyond with elements of jazz, country, gospel, swing, and old-time music that are all infused into the fresh sound of this unique Southern band. It's five distinct personalities creating one remarkable musical experience. The "Father of Newgrass," Sam Bush, took bluegrass music into a new dimension. Not many people can say they fathered a whole genre of music. The new film Revival: The Sam Bush Story, explores that pioneering journey. Sam Bush pioneered a new genre of music and inspired some of the world’s most famous bands and accomplished musicians — yet for countless potential fans, the “Father of Newgrass” remains an unknown legend. Starring Sam Bush, Alison Krauss, John Oates, Chris Thile, Emmylou Harris, Bela Fleck, The Avett Brothers, John Cowan, Ricky Skaggs, Paul Hoffman, Greensky Bluegrass, Steep Canyon Rangers, Del McCoury, Jeff Austin, Woody Platt, Mike Guggino, Jerry Douglas and others. Award-winning Singer-Songwriter Donna Hughes will celebrate two new albums, From the Heart and Fly, and the music video premiere for the song, “The Red Oak Tree” on August 23, 2014. This highly anticipated event will take place at the Sunset Theatre located at 234 Sunset Avenue in Asheboro, NC beginning at 7:30 PM. Tickets can be purchased at the door and are $5 for Adults and free for children 10 & under. Museum to Premiere "POWERFUL: Bill Monroe Remembered"
Owensboro, KY -- The long-awaited premiere of a powerful new documentary produced by the International Bluegrass Music Museum in Owensboro, KY takes place at 9:00 PM EDST on Tuesday, June 10, 2014 on Kentucky Educational Television. POWERFUL: Bill Monroe Remembered tells the poignant, riveting story of Ohio County, KY native Bill Monroe, Father of Bluegrass Music, through the remembrances of dozens of his "Blue Grass Boys," the name given to the 161 sidemen and women who, at various times, were members of his band from the 1940s until his death in 1996. Read more about Museum to Premiere "POWERFUL: Bill Monroe Remembered"
Nashville, TN -- Dolly Parton, the most celebrated female country artist of all-time, continues to be a trendsetter, innovator, and is undeniable to her legion of fans. Parton’s latest critically acclaimed release, Blue Smoke, on Dolly Records/Sony Music Masterworks debuted on the Billboard Top 200 chart at #6, and #2 on the Billboard Country chart, marking her highest charting solo album ever. As the smoke continues to rise, Parton’s latest music video for her forthcoming single, "Home" will premiere exclusively on VEVO this Wednesday, May 28th. View the video below. Lorraine Jordan & Carolina Road premiere their latest video for her song, "Livin’ Like I’m Dying" today here on Cybergrass®. These Bluegrass crowd-pleasers recently released their self-titled cd, Lorraine Jordan & Carolina Road, their highly anticipated album on Pinecastle Records. We recently carried their previous video,"Living With the Shades Pulled Down" on the site and this follow up is a real winner! Their previous release, Back To My Roots, achieved commercial and critical success, charting on Bluegrass Music Profiles Top 30 Singles, and Top 10 Album Chart and reaching #1 on the Bluegrass Unlimited Charts. Nashville, TN (May 7, 2012) -- Rural Rhythm Records is proud to announce Russell Moore & IIIrd Tyme Out will be featured on WSM Radio’s Station Inn Sessions Thursday, May 10, 2012. 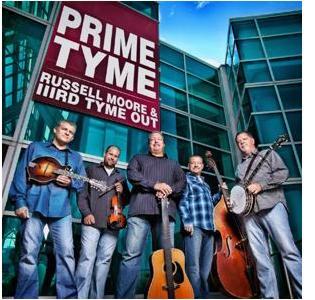 The show will kick off at 5:00 p.m. Central when DJ, Mike Terry will interview Russell Moore and feature the band’s #1 album Prime Tyme and #1 hit song, “Pretty Little Girl From Galax.” At 6:00 p.m., Russell Moore & IIIrd Tyme Out will perform a live one hour concert that will air on WSM Radio and will stream live at WSMonline.com. The event is free and fans are invited to be part of this live audience for the interview and live concert.